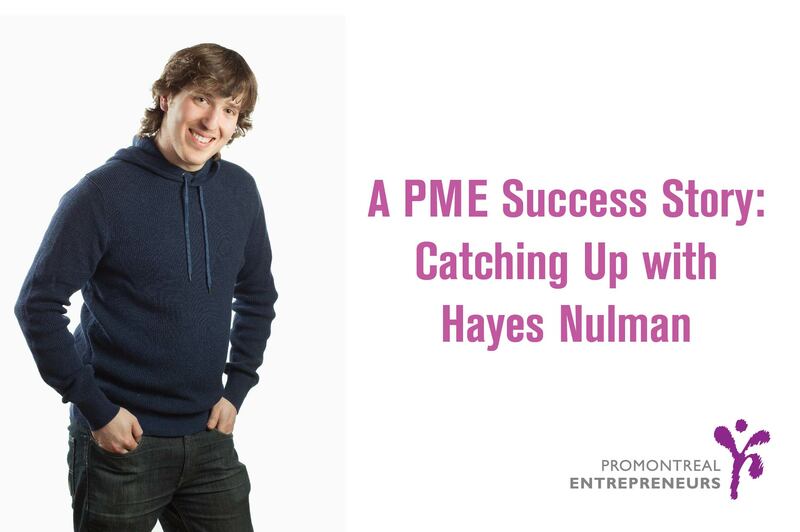 Hayes was part of PME’s 2014 funding round. Still heading operations of his business, Hayes Nulman Design, he embodies true entrepreneurial spirit. With his furniture design and fabrication studio, and his outside-the-box thinking, he has paved quite a way for himself. We were able to sit down with him for a few minutes to talk about his journey and what he looks forward to in the future. Q: How did you come up with the idea to start your own furniture design and fabrication studio? A: It was a dream as a child. I also didn’t really fit into other workplaces so I sort of just wanted to create my own space. Q: Where did your passion for furniture design come from? A: When I was a kid I always liked to build things. I kind of always wanted to make stuff with my hands. From there it evolved. For me it was more about seeing something be created at the end of the day as opposed to the type of building that would be created over long-term projects. The immediate gratification part is what I like about it. Q: How did you learn to master your craft? Did you teach yourself or were you professionally trained? A: I went to a school called École National de Meuble et de l’Ebénisterie. It was an interesting experience seeing that it was all in French. The school is specialized in furniture making and design. Q: WHAT IS YOUR design PROCESS? What’s the thought DEVELOPMENT that goes behind it? A: Our business shifted. It started off as us doing residential.custom pieces. However, we’ve pivoted more into a commercial aspect. That means that more of what I’m doing is interpreting a designer or architect’s design into a final product, suggesting changes that will make it more stable, and producing technical drawings based on their original rough wire frames. Q: Do you find it difficult to compete in an industry where people tend to buy standardized products from big name corporations? A: I feel that I’m more in a niche. There is certain clientele that doesn’t care much about the quality, they just need a piece. Then there are others that actually care about the quality in the final product. Typically we cater to the higher-end final quality products. We also cater to a clientele that knows what they want to have versus someone who doesn’t have a clear idea of what they want and is more open to suggestion. We build someone’s dream piece, not a piece to fill a void. 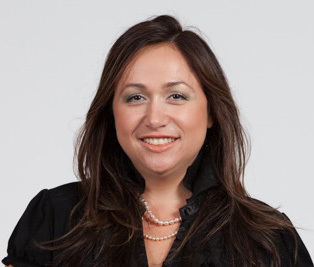 Q: Your father, Andy Nulman, has a big presence in the Montreal business scene. How were you able to pave your way for yourself? A: I think that what we do is unrelated. I think the underlying values that were instilled to me as a child was big into entrepreneurship. Growing up surrounded by an entrepreneur vouching for entrepreneurs really pushed me and my brother to go our own separate ways and to pursue what we like doing. Also, pursuing it in a way that we can build a business from it. It’s funny, my brother is a computer programmer, I build stuff with my hands, and my dad’s just completely in another space. We’re all different, but also the same, because it`s all in entrepreneurship. That`s how I see it. Q: Why start to a business in Montreal? A: It’s cheap rent. My business unfortunately requires a lot of space. Space in a lot of other cities comes out premium. I can see Montreal as a place to raise a family, raise kids, have a life, as well as have cheap rent. Those are the factors that make me want to stay here. I wanted to originally go to New York and then struggled paycheck to paycheck and realized that Montreal is a better option. Q: How has PME helped you on your journey? A: They believed in me when I first started. It took a little bit of convincing but they liked the approach. We’ve strayed so far from what we originally set out to do, but the funding they gave us has helped us secure our first commercial contract and helped us grow into more of a commercial oriented company than a residential oriented company. When we first started with PME we were in a 1000 sqft space, now we are at 12000 sqft. We’ve also increased our employee count. We were 2 last year and now we are 9. Q: Where do you see yourself and your business 10 years from now? A: I see us continuing to do more commercial projects. Continuing our same stroke. Hopefully doubling in staff and seeing where we can take everything. Doing what you love is one of the biggest perks of being an entrepreneur. Doing it successfully is an even greater one. Hayes had some much needed insight to share. Best of luck to him moving forward! Pro-Montreal Entrepreneurs (PME) is a social business model created to help young entrepreneurs build and strengthen their business roots in Montreal. PME offers business plan feedback, a network of mentors, and access to sources of funding. Entrepreneurs between the ages of 18-40 can also get access to capital of up to $50,000. Don’t hesitate to contact us for any questions that you may have. This entry was posted in Co-Founder, Funding, Inspiration, Montreal Ecosystem, Start-ups, Youth Entrepreneurship by Katherine Korakakis. Bookmark the permalink.